The antenna base is less than 9.5x5.5cm. Part Number 65209134283. Year/Model 2007 BMW E70 X5. Help Coming Soon. along with the RMA number. Aurora, CO, 80011. Colorado Imports, Inc. Extended warranties available. No labor warranty is provided. I received your item but it does not fit or is defective. It may take up to 24 hours for the system to update. Where is my item?. Radio Antenna Shark Fin Mast Satellite Radio Black Sapphire (475) 65209209431 Oem Bmw X5 X6 E70 E71 2007-13 . Donor vehicle: 2017 BMW X5 F15 XDRIVE 3.0 L A WD AUTOMATIC TRANSMISSION. All parts sold by Advusedparts LLC bear a permanent identification mark and we will not take any part back if this mark is missing or altered in any way. 2008 BMW 4.8i AWD SUV E70 Body Style. We recycle OEM parts. Antenna Type:Shark Fin Antenna with FM/AM connection cable. 1x Shark fin antenna. The antenna base is less than6.69x2.76x 2.56 in. If the size of the original antenna base is. 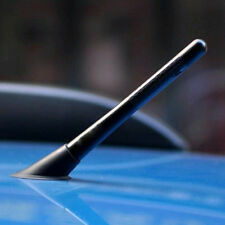 larger than our item, this antenna is not suitable for your car. 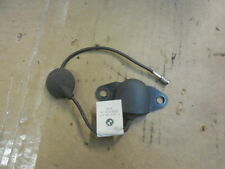 This part was pulled from a 2005BMW X5 3.0i. THIS PART IS BEING SOLD AS IS. DO NOT go by this compatibility chart alone. With detailed information about the part you need. to better serve you. It may be that we can possibly get a hold of it for you. once your item has arrived at your local greyhound station. 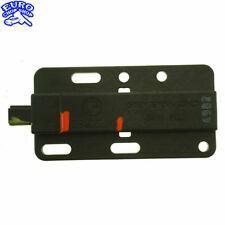 UP FOR SALE IS THE KEY LESS ANTENNA CONVENIENCE MODULE ASSEMBLY IN GOOD WORKING CONDITION. VIN NUMBER 5UXZV8C54BL418849. Model: BMW X5. We want you to be happy with your product! In order to keep costs as low as possible for you, we don't currently have a call line staffed. Part Grade Abbreviations. cc = Credit Card size units. Free Shipping!! 30+ Years In Business!! 2012 BMW X5 E70 LCI xDrive50i. We recycle OEM parts. BMW E70 X5 07-13. Model: X5 4.8i (E70). NOW PARTING 2008 BMW X5 4.8i Black/Tan PARTS - YouTube. Condition: GENUINE BMW PART! Used, tested working. We are here to help! You can also use the part number listed to research compatibilities. This part was pulled from a 2008 BMW X5 4.8i. ThisRadio Antenna Module is used, but is in good working condition and was tested prior to removal. THIS PART IS BEING SOLD AS IS. DO NOT go by this compatibility chart alone. Style: Shark fin (Streamlined design makes the car more beautiful). The antenna base is less than6.69x2.76x 2.56 in. If the size of the original antenna base is. 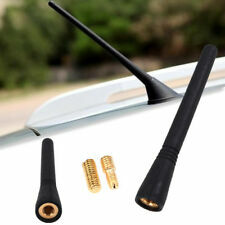 larger than our item, this antenna is not suitable for your car. Trending at $3.29eBay determines this price through a machine learned model of the product's sale prices within the last 90 days. ● Style : Shark fin(Shark fins, streamlined design makes the car more beautiful). ● This Shark Fin Antenna with FM/AM connection cable inside. 1x Shark fin antenna. Material : High-Quality ABS Material. 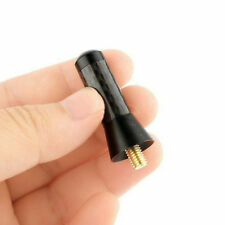 8cm/3" Black Car Truck Carbon Fiber Aluminum Roof Stubby Antenna. Universal Fit Design, will Fit Most Vehicles with Screw In Type Antenna only. 1 x Carbon fiber antenna. Color: Black Radio Antenna. Aluminum with 100% Real Carbon Fiber. 2008 BMW X5 4.8I. Be sure for what you buy! - it is an electronic part in good condition. - don’t need it any more;. - wrong part ordered;. - doesn’t fit;. - changed you mind;. - warranty case. WILL FIT: 2007-2013 BMW X5 E70. UP FOR SALE IS A USED ANTENNA FROM 2009 X5. BLACK COLOR. Part Number 65209350090. Year/Model 2017 BMW F48 X1. Help Coming Soon. along with the RMA number. Aurora, CO, 80011. Colorado Imports, Inc. Extended warranties available. No labor warranty is provided. Part Number 65209209431. Year/Model 2007 BMW E70 X5. Help Coming Soon. along with the RMA number. Aurora, CO, 80011. Colorado Imports, Inc. Extended warranties available. No labor warranty is provided. 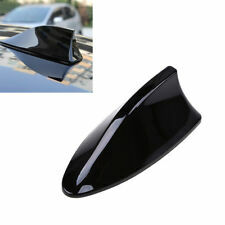 Black Carbon Fiber Style Car Exterior Shark Fin Shape Adhesive Roof Decorative Antenna. Style: Shark fin (Optimized design makes the car more beautiful). 1 piece x Shark Fin antenna. This product is pure tail decoration, can not be received, can not be wired, pure tail decoration, with adhesive, can be directly attached to the roof. PART#: 6905950. code(GRAY). LEFT SIDE IS THE DRIVERS SIDE AND THE RIGHT SIDE IS THE PASSENGER SIDE . MATCH PICTURES AND/OR PART NUMBER IF LISTED TO MAKE SURE THIS IS THE PART YOU NEED. 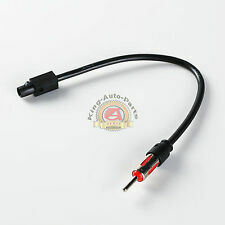 1 x Car Radio Aerial Antenna. Compatible model: This is an antenna that universally fits for most of the car models whose origin antenna is capable of being dismantled and re-installed, such as VW, Audi, Toyota, Honda, Mazda, Chevrolet, Ford, Mini MINI, Nissan, Mitsubishi, etc. 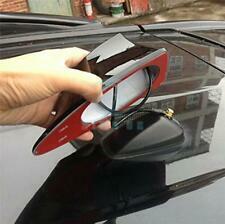 ● Style : Shark fin(Shark fins, streamlined design makes the car more beautiful). ● This Shark Fin Antenna with FM/AM connection cable inside. 1x Shark fin antenna. ● Make your car cool and distinctive.